If your site’s rankings has suddenly dropped, or if you think that it has been penalized or not indexed, check on a few things first before being wary. Most companies today wouldn’t want to worry about their SEO tactics. 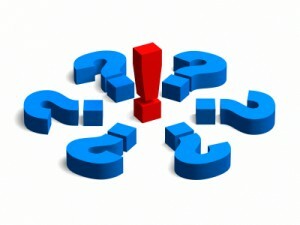 What they do is outsource seo to a known company such as seoreseller.com to make sure that they become visible. However, here are simple things to do before assuming that you’ve been removed from Google’s index. In this way, you’ll see if your site is still indexed by Google. If you see results, you’re still on track. Your site’s ranking has dropped for some reason that you’d have to check to keep it up on search engine result pages (SERPs). This is a good way to check if your site is still in the top 10 results of your niche. However, if your site isn’t in the top 10, and you find yourself on pages 4 or 5, chances are you have been penalized by Google. Whichever the case is, you should always bear in mind that your site will gain rankings not only by off-site tactics. Your site should also be easily navigated, user friendly and of course—design works. Make sure that your site looks aesthetically good. Don’t worry if your site’s rankings suddenly dropped because there are a lot of ways to fix it. If you think that you need help, contact us. You can choose from a wide range of services ranging from white label SEO, social media marketing, web design and paid advertising. This services will definitely provide you with the best solutions to your current SEO problems.